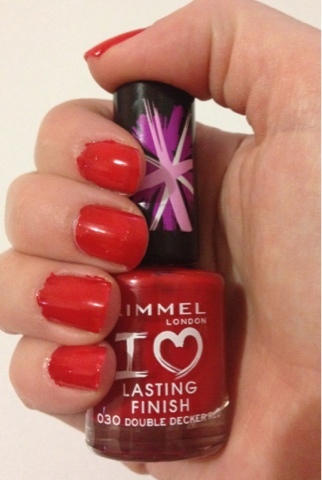 Rimmel Lasting Finish in Double Decker Red. I looooove bright red nails and this polish does not disappoint! Only disappointment is how bad I am about getting polish even around my cuticle! Love the colour, cute polish. Haha hard part of using such a beautiful bright colour is you see any little mistake. Keep up the fantastic blog, loving it. BYS - Stepping up in the game?